What is the “Action Required” tab? Orders located in the “Action Required” tab seen HERE, will require 1 of 3 manual actions before we can proceed with production. 1.) Address cannot be verified, information may be in the wrong fields or it is not deliverable by USPS. You can update the address on the Shopify orders page (see here). 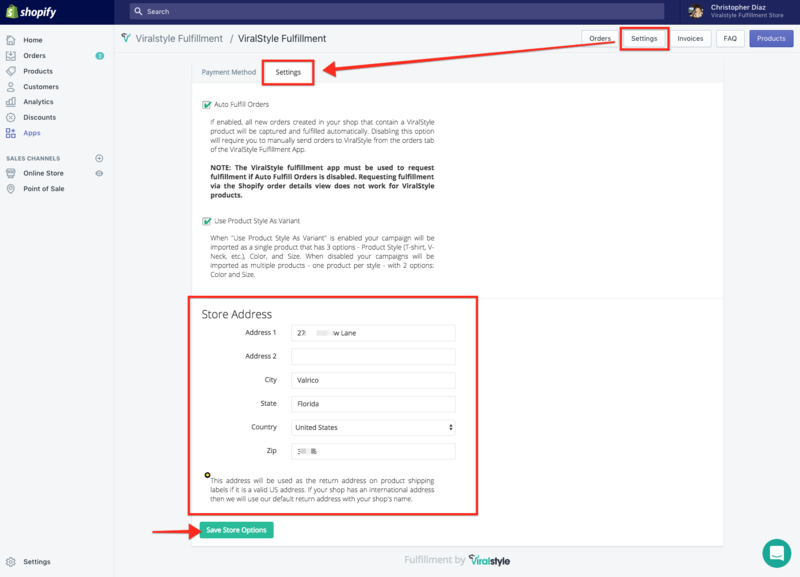 See our "Verify Address Tool" article below. 2.) Your Payment Method is no longer valid, or there is an issue with the PayPal funding source. 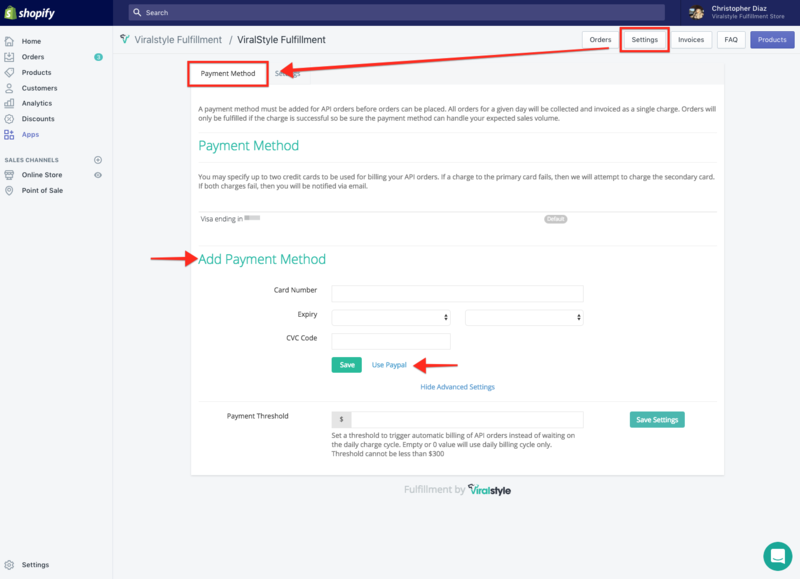 Update your payment in the Viralstyle Fulfillment app "Payment Method" tab seen below. 3.) Your Business/Return Address is not valid and will need an update. Once you have made any of the 3 required updates, we will process the information within 1 business day. When/if approved, we'll continue on with the Production process.